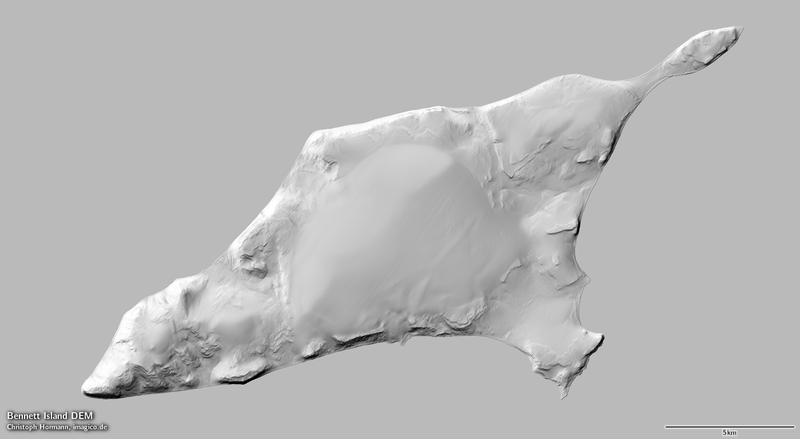 In addition to the mapping of the De Long Islands i produced an improved elevation model using the shape from shading techniques described earlier. 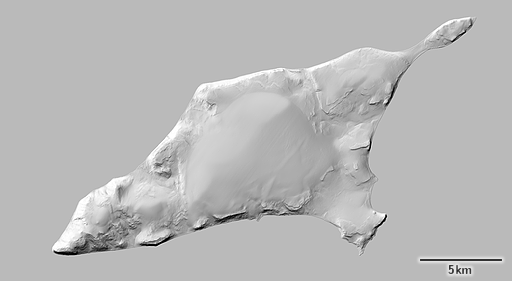 Here is a shaded relief rendering of Bennett Island produced from this. This elevation data is available on viewfinderpanoramas.org now where it replaces the previous data of the area which has been incomplete and subject to some offset before. Interestingly the eastern islands of the group are also fully missing in the ASTER GDEM data by the way.